The Best Bid is designed to take care of all your electrical estimating needs on any Residential, Commercial or Industrial project. Built for speed, accuracy, and ease of use at a price that you can afford. Includes pre-built assemblies and an unlimited database.Ready to estimate right out of the box. Use the “Worksheet” to review your completed estimate before presentation. Use your preinstalled computer prices or use the overwrite button to enter a complete material quote. Subscribe to the Netpricerpricing service, and receive updates for your material. 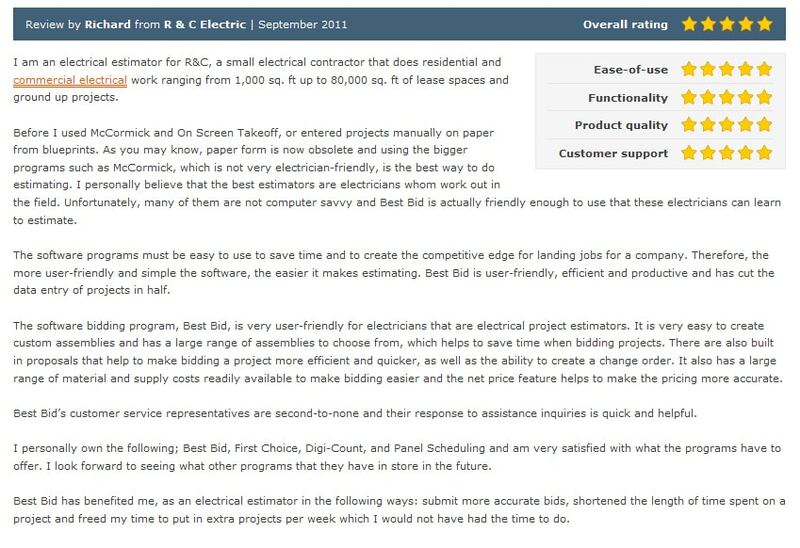 This is just a small list of features that will be provided with the “Best Bid” electrical estimating software. 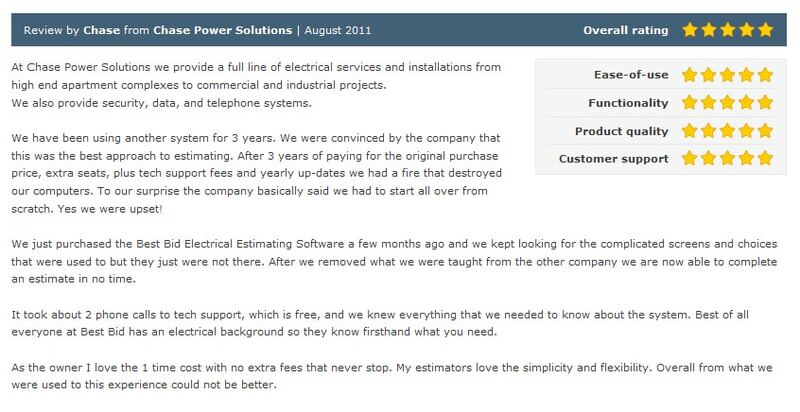 All these features—combined with customized labor units, and the ability to create bids right out of the box, make “Best Bid” electrical estimating software the Estimator’s Choice for Electrical Estimating Software.